Running a desert or beach race? There is nothing worse than sand in your shoes. Aside from the discomfort, sand means abrasion and friction; the perfect recipe for blister trouble. AR Desert Gaiters completely cover the shoe to prevent even the finest sand from getting into your shoes. An adjustable Velcro tab around the ankle accommodates teeny-tiny ankles. A band of Velcro is attached to 4/5 of the bottom of the gaiter. This is what sticks the gaiter to your shoe. The final 1/5 (at the back) has a band of elastic for support and tension. Slip the AR Desert Gaiter over your foot. The one with the badge goes on your left foot. Then, put on your socks and shoes and do up your laces. Start attaching the gaiter from the front. Smooth the Velcro first over the toe cap and around the sides. Finally slip the back (elasticised; no Velcro here) over the back of your shoe. The elastic at the back accommodates different shoe sizes. 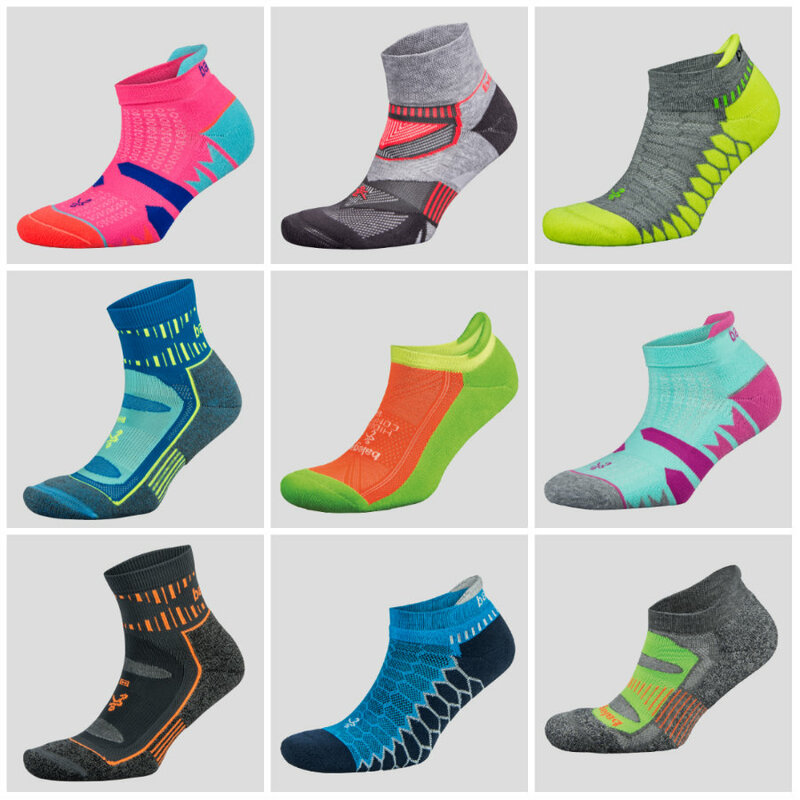 You do not need Velcro at the back; sand does not come in through the rigid heel cup. Trust us. These gaiters have a higher ankle than the AR Mini gaiters. Great for going down steep dunes of soft sand. The ankle-tab can be tightened for going down big, deep dunes when knee-deep in soft sand. Take your shoes to a cobbler. It is possible to do it yourself but it isn’t easy to do by hand and a cobbler will have machines to do it quickly. We recommend stitching along the top and bottom of the Velcro (see image below). 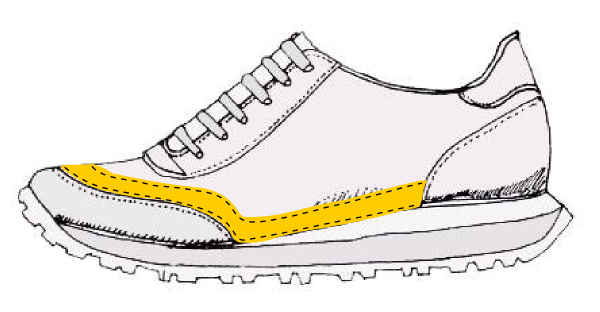 It is not necessary to stitch the Velcro around the hard heel cup (see image below). The heel cup is solid plastic and does not allow any sand in. The AR Desert Gaiter is elasticised at the back (no Velcro). It slips over the back of the shoe and stays snuggly in place. After the race, you can easily unpick the stitching to remove the Velcro from your shoes. Stitching option 1: If the toe cap of the upper is minimal. 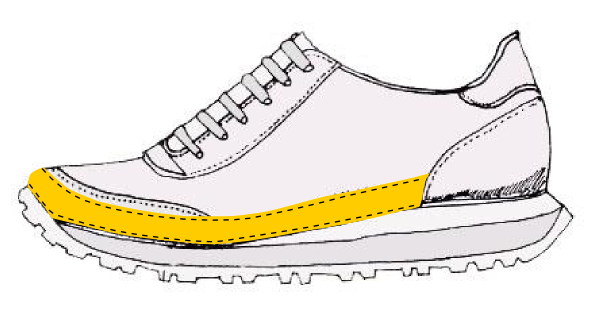 Stitching option 2: If the toe cap of the upper of your shoe is hard and protective. These can be washed in your washing machine, but be sure to shake as much sand from them as possible first. Air dry. No tumble drying, please. Should the Lycra get any small holes, use needle and thread to stitch them closed. If you can’t sew, use superglue or fabric glue.